With the hope that we may have been able to dock for the second day, we were anchored at sea for a full day – an impromptu sea day, but the entertainments team managed to sort a full programme of events and, after some negotiation, the ship was also able to agree with the port authorities the opening of the ship’s casino and shops. As you can imagine, this was a huge disappointment to all passengers and the crew, but we found the Captain and his officers handled the situation extremely well and the majority of passengers were understanding… a minority weren’t – some were extremely angry, some had conspiracy theories galore and some were at risk of it ruining their entire holiday! 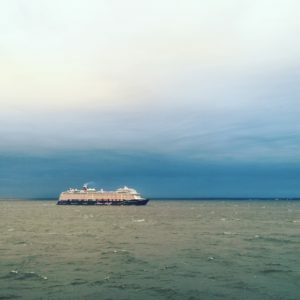 It didn’t help that other ships already in port were successfully leaving St Petersburg for their onward itinerary, but every ship is different, every voyage a different challenge for the Captain and his crew. 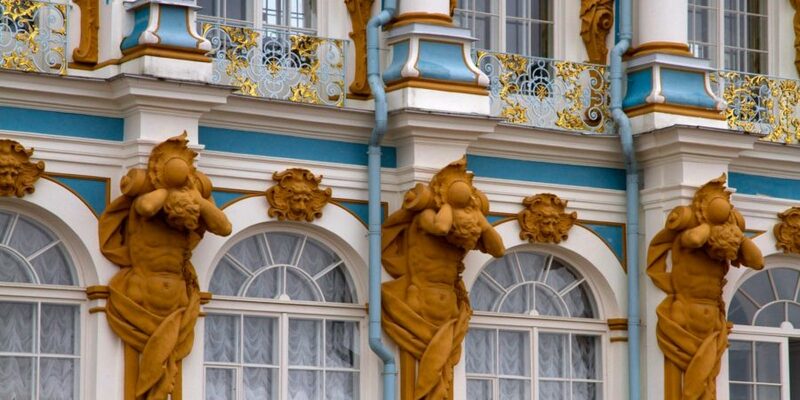 We have visited St Petersburg before, and while it was certainly the highlight of this trip, we knew there were plenty of memories to be made at other ports and on the ship itself. For some though – travelling from the USA, Canada, Australia and other parts of the world – this would of course be a huge blow for what would be a holiday of a lifetime. Having been on cruises where ports have been impossible to enter – always due to Mother Nature – we were perhaps more understanding than most and realise is not always such a bad thing. Had we not had ports cancelled we’d never have discovered Flåm or Belfast, for example. We did find it disappointing that an alternative port was not attempted, but given the difficulties in securing alternative ports at short notice we were not surprised. And, quite rightly, the Captain did try to focus efforts on getting us into St Petersburg on the second day. If you ever have a port cancelled, please understand that it is entirely for the safety and comfort of crew, passengers and the ship itself. For us, we feel it is important to listen to the Captain’s decision – it’s not taken lightly – and to then support the crew. Often an alternative port is arranged, extra food prepared, more entertained provided and much, much more behind the scenes that we don’t always see. For this cruise, our port fees and excursion fees were all refunded to our onboard account. When selecting travel insurance you may want to check your policy for the missed port options.